PE Hub (via Paul Kedrosky) has an interesting take on why the head of Yale’s endowment is still bullish on PE after losing tons of money investing in the asset class.Even though Yale’s endowment was mauled in 2008, largely because of their manager’s, David Swenson’s, investments in private equity, recent news shows that he has upped Yale’s exposure to PE from 20% to 26%. This is because, says PEHub, Swenson, wants to create wiggle-room — and an aura of calm — when the PE exposure inevitably grows. Under the terms of certain limited partnership and limited liability company agreements for private equity and real estate investments, the University is obligated to remit additional funding periodically as capital calls are exercised. At June 30, 2009, the University had uncalled commitments of approximately $7.6 billion. 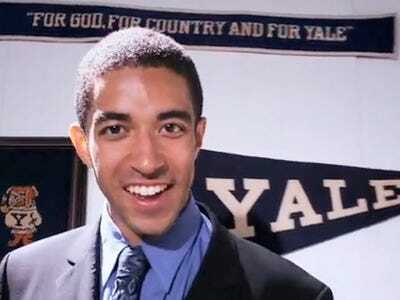 Yale’s entire endowment fund was worth $16.3 billion as of June 30. So Yale’s investment in PE and real estate makes up almost half of their whole endowment. The University has various sources of internal liquidity at its disposal, including cash, cash equivalents and marketable debt and equity securities. If called upon at June 30, 2009, management estimates that it could have liquidated approximately $3.6 billion (unaudited) to meet short-term needs. This means Yale committed a certain amount of money to PE funds that it hasn’t yet delivered to them (this is normal – similar among all investors in PE funds). The PE fund can “call” this money and then Yale is expected to make good on its promise. But as of June 30, 2009, Yale wouldn’t have been able to pay out even half of its investment in PE. The school felt its best hedge is to increase its target allocation, in order to create wiggle-room — and an aura of calm — when the PE exposure inevitably grows. This might be something cash-strapped Yale can’t fix just by slashing capital spending by 60%.